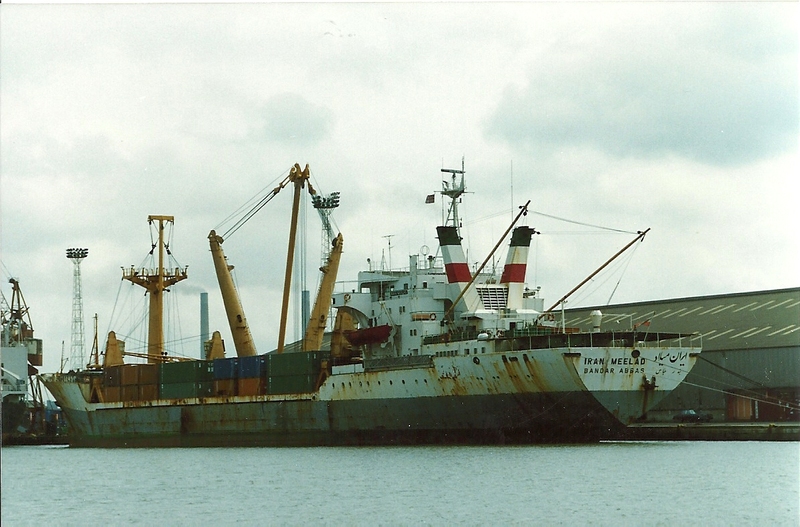 The Islamic Republic Of Iran vessel IRAN MEELAD in Tilbury. 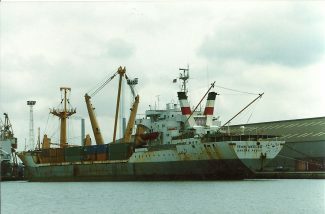 She was built in 1971 at 11,700 grt. as the ARYN NUR until 1980. Note the unusual twin, angled funnels. This picture was taken when my father and possibly myself were on board this ship. His car is parked in the picture, it was a blue Pontiac Bonneville, 4.9 litre. He was repairing the lifeboats and some other stuff, i was 10 years old and sat in the captains office with the captain!! Very interesting picture.